It is shown that number of new ICT (Information Communication Technology) startups and Industry 4.0-related companies in South Korea is not even half that of other countries such as the U.S. and China. Because South Korea has been leaning too much on certain industries such as semiconductor and large corporations, its foundation for future growth has gotten weaker. It is urgent for South Korea to diversify major types of businesses within ICT industry and to establish foundation for future growth. 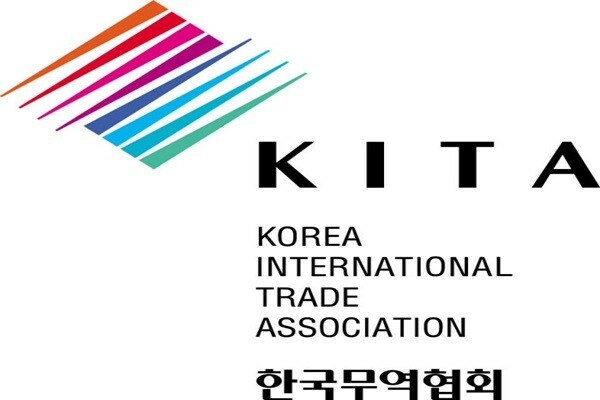 Korea International Trade Association's (KITA) Institute for International Trade (IIT, Director Shin Seung-kwan) made such announcement after analyzing 'Comparison of Performance of Major Countries' ICT Industries' that analyzed sales of 26,588 global ICT companies, which are registered in S&P's Capital IQ, in the past 10 years. South Korea was the only country that saw its percentage of added values of ICT industry compared to GDP (Gross Domestic Product) go over 10% out of OECD (Organization for Economic Cooperation and Development) members in 2015. Various venture companies that were established in early 2000s had contributed in developing South Korea as one of IT powerhouses. According to the report, percentage of new ICT South Korean companies that were established after 2009 is 12.5%. On the other hand, percentages for the U.S. and China are 27.9% and 27.5% respectively. Even Japan, which has seen its growth slow down recently, has higher percentage than South Korea with 15.2%. Percentage of South Korean ICT companies related to Industry 4.0 is only 3.9% while percentages for the U.S., China, and Japan have higher percentages than South Korea with 11.1%, 6.8%, and 6.3% respectively. There has been lack of new startups that will lead South Korea's future ICT industry. Because percentage of companies that carry out businesses related to Industry 4.0 is also low, amount of dynamics in seeking for new business opportunities within entire industry is on decline. Some point out that the fact that South Korea is leaning too much on certain businesses and large corporations is the main reason why its ICT industry is growing slowly. Amount of sales from South Korea's ICT industry increased by 8.7% compared to previous year. However, because growth of semiconductor industry contributes to 82.8%, increase rate of sales drops to 2.2% when semiconductor industry is excluded from calculation. Operating profit ratio for South Korean businesses increased by 6.8% to 16.2%, which is the highest operating profit ratio followed by the U.S. This is also due to booming of semiconductor industry. Percentage of companies that make more than $1 billion in annual sales is also low for South Korea (3.6%) compared to the U.S. (22.8%), China (13.0%), and Japan (13.5%). While operating profit ratio of large corporations that make more than $10 billion in annual sales is about 23.5%, operating profit ratio of small companies that make less than $100 million in annual sales is only 0.3%. For China and Japan, operating profit ratio is relatively even throughout all companies regardless of size of their annual sales. While the report pointed out market share ratio and operating profit ratio as the biggest competitive edge for South Korea's ICT industry in the past 10 years, it pointed out separation of competitive edge due to size of sales, lack of new startups and companies related to Industry 4.0 as major problems. "We need to diversify major businesses within ICT industry to become a leader of Industry 4.0." said Chief Researcher Kim Jung-kyoon of KITA's IIT. "We need to enhance innovation and dynamics by promoting relevant services, invigorating startup ecosystem, and establishing foundation for growth."